December 05, 2010 (KATAKAMI / CNN) — Officials from Israel and Turkey met in Geneva, Switzerland, on Sunday in an attempt to reduce tensions between the two nations in the wake of an incident earlier this year involving an aid flotilla to Gaza, representatives from both countries said. The meeting came about after Turkish Prime Minister Tayyip Erdogan sent two firefighting planes Friday to Israel to aid in combating a deadly wildfire, according to a Turkish foreign ministry official. Israeli Prime Minister Benjamin Netanyahu publicly thanked Erdogan, then called him to thank him again, the official said. While on the telephone, Netanyahu said he hoped the two countries could discuss the state of their relationship in a different context, according to the official. Yosef Ciechanover, an Israeli representative on a U.N. panel established to review the May 31 flotilla incident, traveled to Geneva for the meeting at Netanyhahu’s request, according to an Israeli official. “The two met in order to find ways to promote appeasement and diminish the tension between the two countries,” the official said. The Turkish foreign ministry officials said that Foreign Ministry undersecretary Feridun Sinirlioglu met with the Israeli representative. Turkey was once Israel’s strongest ally among Muslim nations, but the relationship between the two nations has been chilly since May 31, when Israeli forces intercepted an aid flotilla headed to Gaza from Turkey. Violence broke out, and nine Turkish activists were killed. Turkish PM Erdogan says he still expects compensation from Israel over Gaza flotilla raid, calls Turkey’s aid in fire purely humanitarian. December 05, 2010 (KATAKAMI / HAARETZ) — Turkey still expects an apology and compensation for nine Turkish activists killed on a Gaza-bound ship this year, despite its offer of help to Israel in battling forest fires, its prime minister said on Sunday. Prime Minister Benjamin Netanyahu telephoned Prime Minister Tayyip Erdogan on Friday to thank him after Turkey sent firefighting planes to help battle forest fires in northern Israel that killed 41 people. It was the first conversation between the two men since Israeli commandos killed the nine Turkish activists while storming their boat, the Mavi Marmara,that was bringing supplies to the blockaded Gaza Strip. 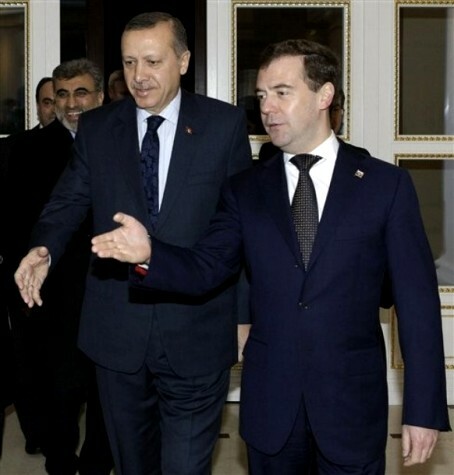 Netanyahu said Turkey’s gesture would be an opportunity to improve ties between the erstwhile allies. But Erdogan said the help on the fires was purely humanitarian. “We would never stand by when people are being killed and nature is being destroyed anywhere in the world,” Erdogan said in comments broadcast live by CNN Turk. “No one should try to interpret this any differently. Israel had enjoyed close military and commercial ties with Muslim but secular Turkey since the 1990s. Netanyahu’s government has since accused Erdogan, a devout Muslim, of turning away from Western allies and embracing Iran and other Islamic states. ‘Does Israel think it can enter Lebanon with most modern aircraft and tanks to kill women and children, use cluster bombs to kill kids in Gaza, and expect us to remain silent?’ asks Turkish prime minister on visit to Beirut. 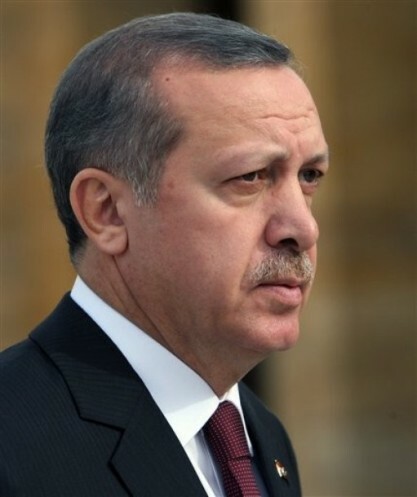 November 25, 2010 (KATAKAMI / YNET) — Turkey will not remain silent if Israel attacks Lebanon or Gaza, Prime Minister Recep Tayyip Erdogan said in Beirut on Thursday, as ties between the longtime allies remained at an all-time low. 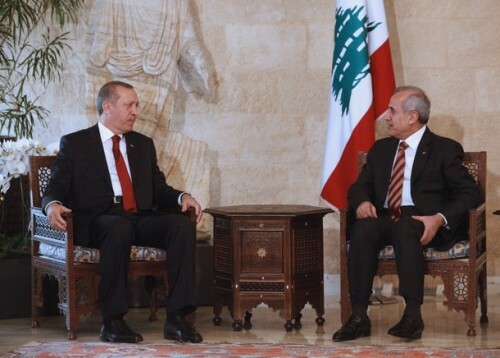 “Does (Israel) think it can enter Lebanon with the most modern aircraft and tanks to kill women and children, and destroy schools and hospitals, and then expect us to remain silent?” Erdogan said at a conference organised by the Union of Arab Banks. Relations then nosedived on May 31, 2010 when Israeli naval commandos stormed a Turkish-registered protest ship, the Mavi Mara, part of a flotilla attempting to break the Israeli blockade of the Palestinian territory. Nine Turkish activists were killed in the operation. Erdogan has said his country will not begin to restore relations with Israel until it apologizes for its “savage attack” on the vessel. 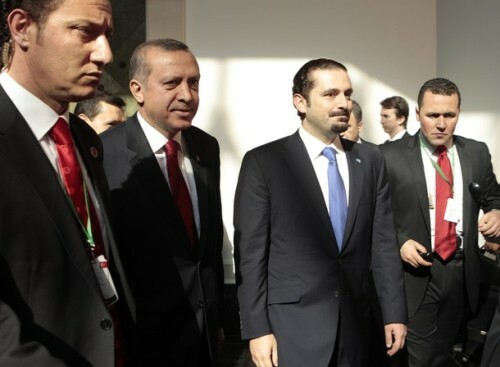 Thursday was the final day of the Turkish premier’s two-day visit to Lebanon. 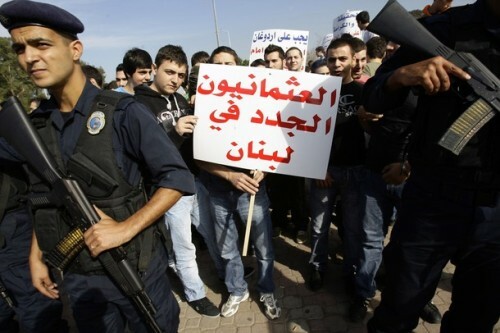 Hundreds of Lebanese of Armenian descent have clashed with army troops during a protest over a visit to Beirut by the Turkish prime minister. Recep Tayyip Erdogan is on a two day trip during which he met with officials and visited the north and south of the country. He was inaugurating a hospital in the southern port city of Sidon Thursday as hundreds of protesters gathered in the capital’s Martyrs’ Square. When demonstrators tore up a large poster of Erdogan and pelted troops with rocks, security responded by beating up a number of them.